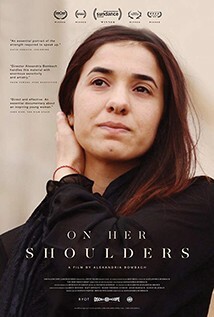 Five years ago, Nadia Murad was a teenager living in a Yazidi farm community in Iraq when ISIS took over the town, murdered 600 people, and captured the women and girls as slaves. She escaped three months later and has spent most of the time since speaking out on what happened to her and her people. In October 2018, she was awarded the Nobel Peace Prize. This award-winning documentary tells her story. Nadia's life is a dizzying array of exhausting undertakings - from giving testimony before the U.N. to visiting refugee camps to soul-bearing media interviews and one-on-one meetings with top government officials. Filmmaker Alexandria Bombach’s direction and editing are exceptional; she captures images that are both subtle and formidable, with deep compassion and a formal precision and elegance that matches Nadia's calm and steely demeanour.